Electric wood board is also called glue board, phenolic laminated board. It is made of insulating impregnated paper impregnated with phenolic resin, baked and hot pressed. It is used for motors with high mechanical performance requirements, insulating structural parts in electrical equipment, and can be used in transformer oil. Bakelite is a synthetic chemical that once solidified, can no longer be molded into other things, so it has the characteristics of non-absorbent, non-conductive, high temperature resistance and high strength, and is widely used in electrical products. The electric board used mainly for insulating materials has the characteristics of insulation, abrasion resistance, no static electricity, and high temperature resistance. It has become an important tool for the insulation switch of electronic products and the production line of variable resistance and mechanical molds. It can also be used in transformer oil. Good electrical properties at room temperature, good machinability, specific gravity 1.45, warpage ≤ 3 ‰, so it has excellent electrical, mechanical and processing properties. Paper bakelite is the most common laminate eleven and the most versatile and used industrial laminate in the world. The bakelite is one of the insulating materials, and its heat-resistant temperature can also refer to this standard. 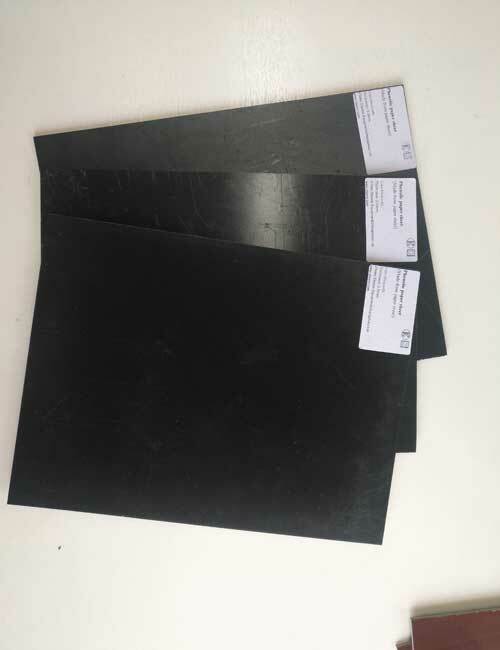 The composition of the electric board is mainly phenolic resin, and the heat resistance grade of the general phenolic laminated paperboard in the phenolic resin is E grade, that is, the maximum temperature is 120 ° C, so in the working environment below 120 ° C, the electric board is completely It can work normally. For a short time above 120 °C, the bakelite can still be used. However, if it exceeds 120 °C for a long time, the insulation performance of the bakelite will be weakened until it is said that the insulating material is aging and the breakdown voltage is lowered. If you want to know more about the heat resistance grade of bakelite and the processing of bakelite, bakelite density, etc., it is recommended to read other related articles on our website, or consult online customer service, we will answer your questions free of charge.